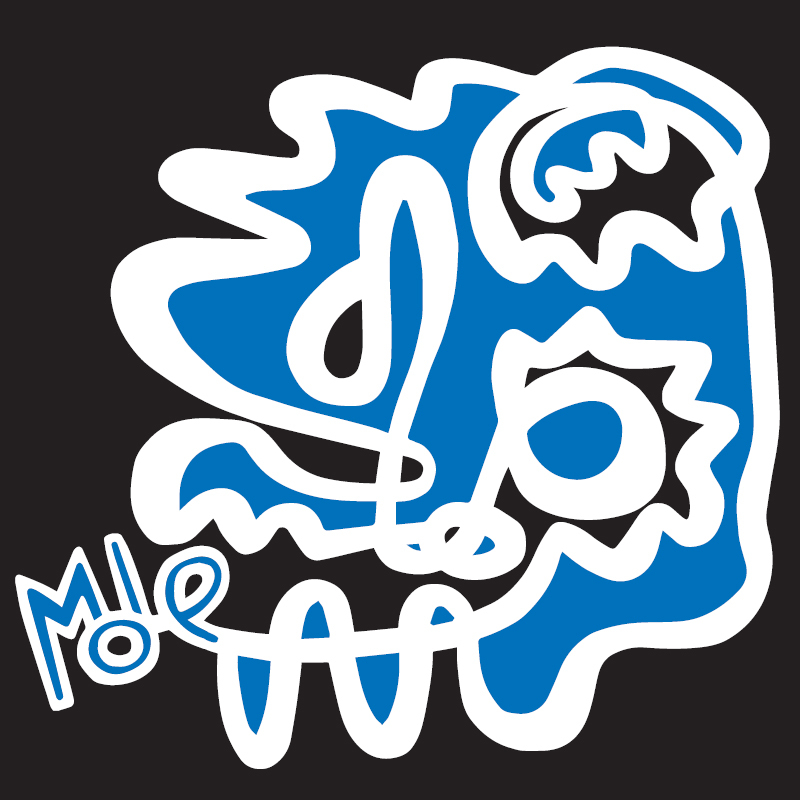 We are proud to announce the release of the self-titled debut by the Pan-European quartet MOLE. 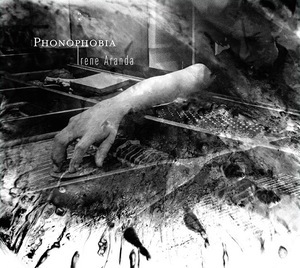 Spanish pianist Irene Aranda will release her new album, Phonophobia, on Vector Sounds on 7th November. A study on technique and focus, Phonophobia aims to dispel the fears that hold us back and to bring sound to life. 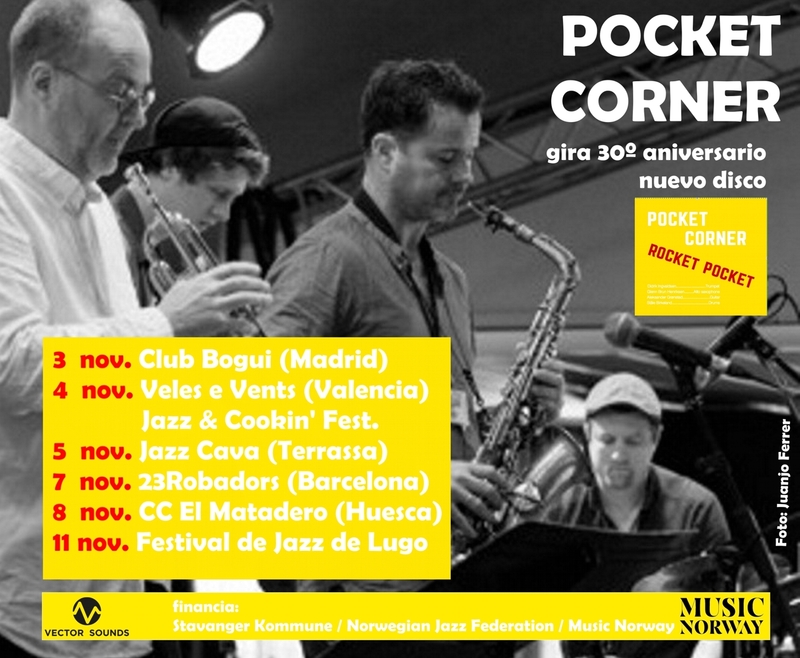 POCKET CORNER, Norwegian free jazz band led by trumpet player Didrik Ingvaldsen are celebrating their 30th anniversary and will be presenting their new album Rocket Pocket in a series of dates across Spain. Among other places, Pocket Corner will perform at the presentation of the Jazz & Cookin' Festival 2017 in Valencia. 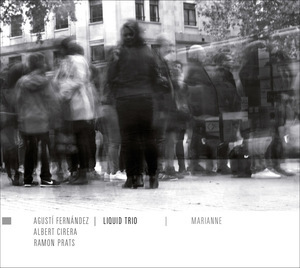 Marianne is the second album released by this ensemble after Primer Dia i Última Nit (Sirulita, 2013). Cover by Marcos Prack. 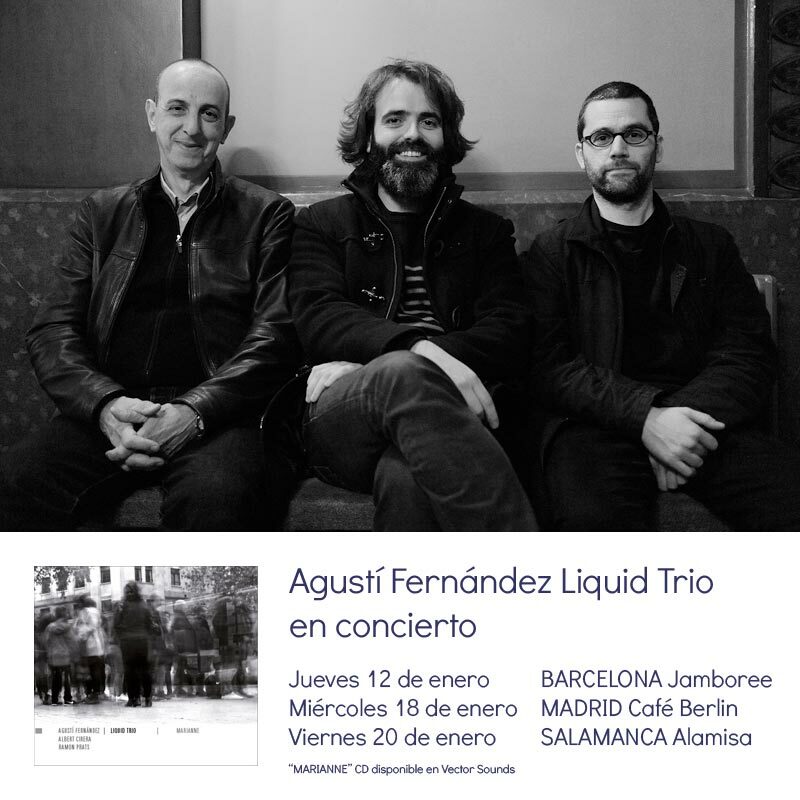 / Liquid Trio photo by Joan Cortès. The trio take us on a journey, a fearless quest to create unexpected, irregular, evocative musical textures while claiming new territories. Molimo, the song of the forest, is sung by the Bambuti in their rituals. 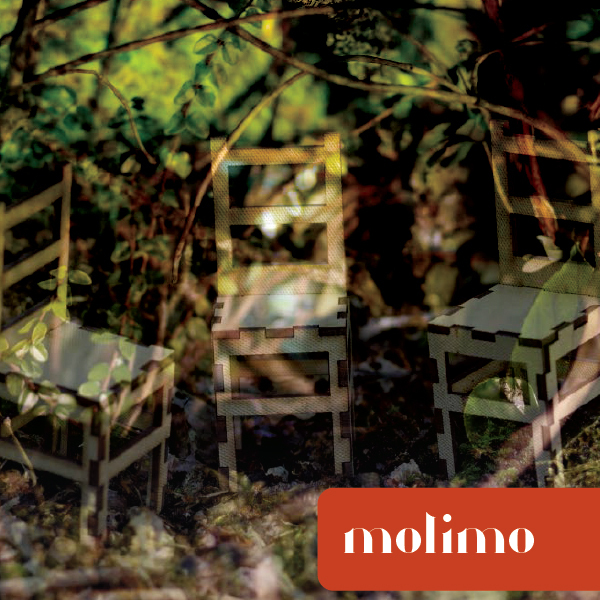 Its mysterious, unfettered sound blends into the woods, mingling with the songs of crickets, frogs and night birds. It seems to always be coming from afar as it steals through the forest, appearing and disappearing but never letting itself be confined. 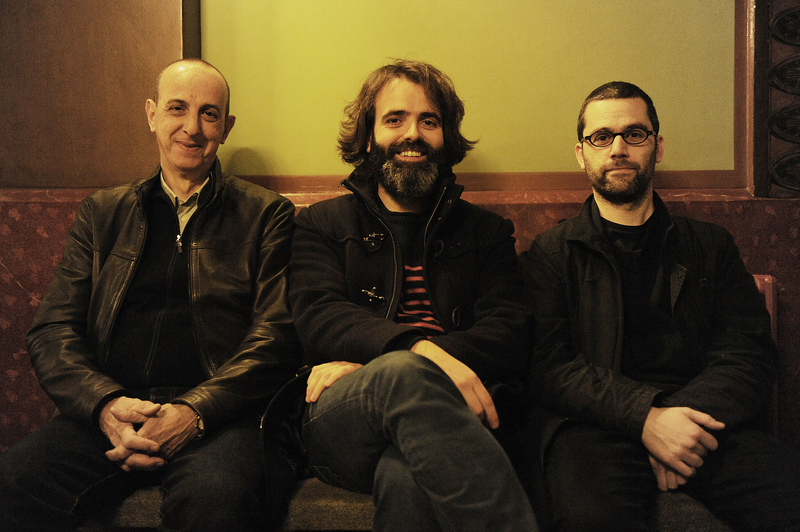 The Norwegian ensemble Pocket Corner is one of the longest running and most important projects on the Free Jazz scene in its country. Created and directed by the trumpet player Didrik Ingvaldsen in 1986, Pocket Corner has become an institution over the years. Many musicians from the current Norwegian avant garde scene have been part of the ensemble at some point; among them, Paal Nilssen-Love. Inheriting the Free sounds developed by Ornette Colema, they bring elements of Nordic Jazz and free improvisation to their music. The tour, organised by Vector Sounds in collaboration with some of the main associations and venues linked to free jazz and improvisation in Spain, will start at the Jazz & Cookin' Festival in Valencia, starting this year, where they will share the stage with other relevant names of the national and international vanguard jazz and free improvisation scenes. Vector Sounds brings music and food together in this Festival that will be held in Valencia (Spain) on November 6th, 7th, 8th. More details to follow. In the meantime you can visit the website . 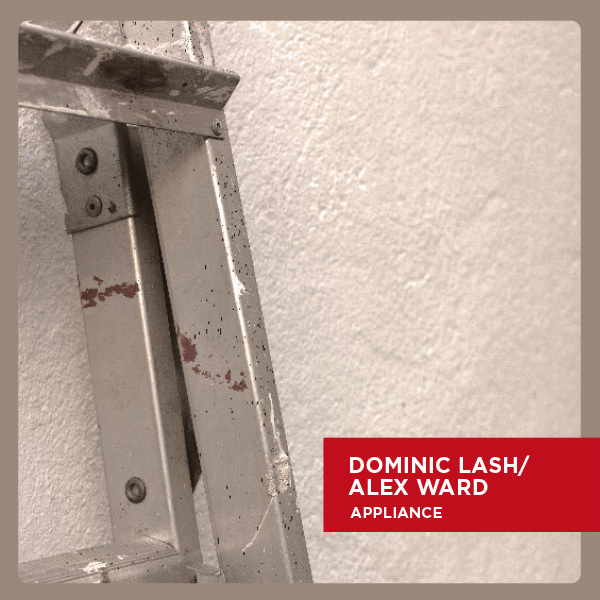 We're glad to announce the release of APPLIANCE, the first recording from English musicians Dominic Lash and Alex Ward as a duo and the first release from Vector Sounds. Our catalogue will start with reference VS016 in honour of the fifteen albums released by Serie Vector on Clamshell Records. APPLIANCE is a tour de force in improvisational composition that breaks down musical barriers while building on the foundations of avant-garde jazz and contemporary music. Poise, space, melody, clustering, virtuosity, counterpoint, silence and texture come together in seven sonic collages that showcase great creativity and musicianship. APPLIANCE will be presented live tonight at Café OTO in London. 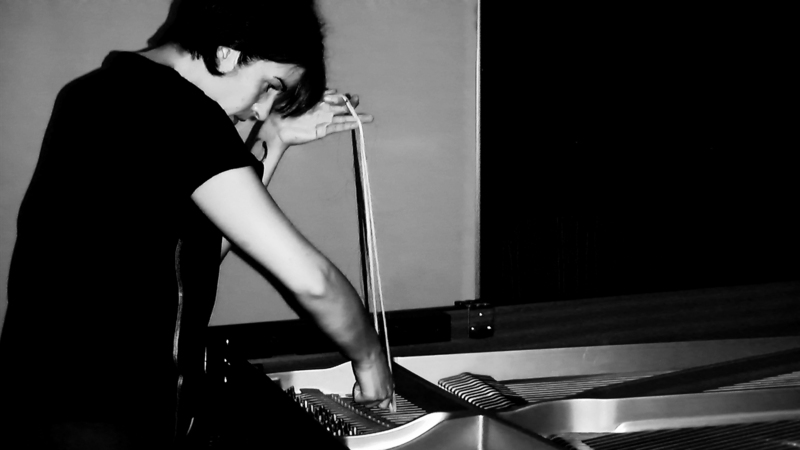 Dominic Lash (UK, 1980) is a multi-instrumentalist although his work in free improvisation focuses on the double bass. His extensive musical activities also include writing and performing composed music with his own ensembles. Over the years, Dominic has played in different line-ups at several jazz and free improvisation festivals across Europe. Alex Ward (UK, 1974) is a composer and improviser, performing solo and in a variety of ensembles. As an improviser, he started out as a clarinettist but since 2000 has also been active as an improvising guitarist. His longest-standing collaborations in this field have been with drummer Steve Noble.